Took the title from my favorite Reader's Digest column. 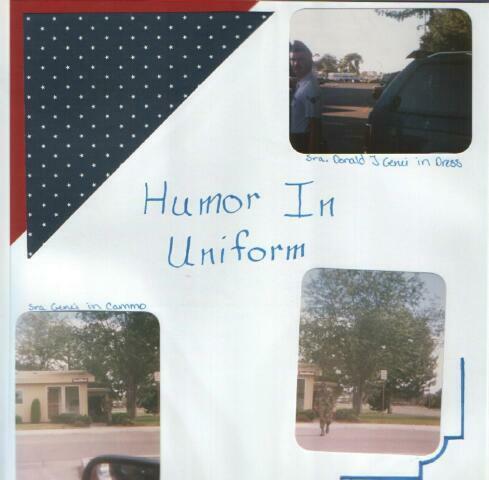 Shows various shots of my dh in uniform in 1995, if you look close you can see I messed up and wrote that he was a Senior Airman at the time, he was actually only Airman First class. Paper is Creative Memories.